Our company is one of the leading providers of professional grass cutting services in the area of Putney. We have several years of experience behind our backs and offer great quality at reasonable prices. You will not have to take care of the gardening procedures all by yourself now, because we are right here for you whenever you need some help. The grass cutting services of our company are tailor-made so that they can suit our client’s personal requirements best. Of course, our customer service representatives will help you choose the best quote for you and could even offer you some additional services to your service package. 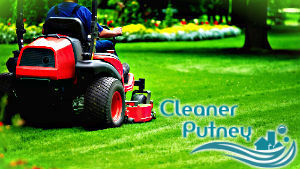 You will not be forced to do all the grass cutting all by yourself now thanks to the services we offer you in Putney. No matter if you are a residential or a business customer, we will do our best in meeting the highest standards in the gardening services business and of course, meet your personal expectations. Do not hesitate to call and book us today! Our grass cutting services are provided not only in SW15, but in its adjacent areas, too. Make a difference, choose a quote and book it. Gardening procedures, including grass cutting, are what we are good at. Even relatively simple procedures such as lawn mowing could turn out to be too hard and time-taking for a person who has no professional experience and suitable equipment to do it properly. This is why our company is a fantastic option for you.